Why stop at just one scoop? 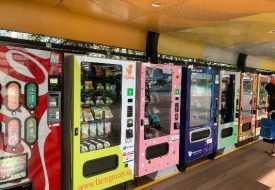 Head to Tanjong Pagar Road and you’ll find a smorgasbord of Korean and Japanese eateries tucked between bridal studios. But if you look closely, sweet gems like Churn Creamery are to be found. 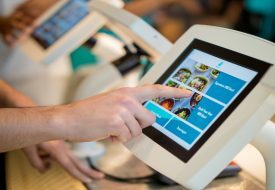 The unpretentious, blink-and-you’ll-miss-it cafe is situated where Restore Living Cafe used to be, and not so strategically across another ice cream cafe, 5 The Moments. 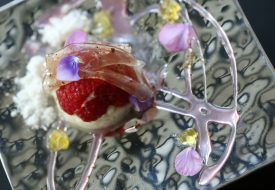 Specialising in artisanal gelato, the cafe offers flavours that vary from classic to creative. The highlight of our dessert is the molten chocolate cone, which basically consists of a waffle cone filled with copious amounts of melted chocolate. As with most other cafes worth their Instagram dollar, there’s a photo-worthy aspect to their offerings. 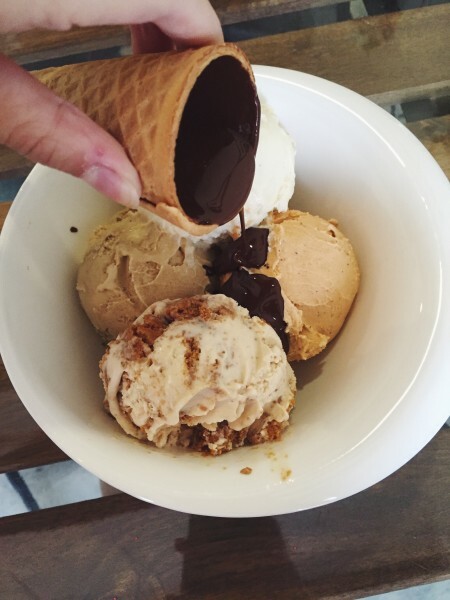 At Churn Creamery, it’s the molten chocolate cone. You can either have it as an add-on to your gelato ($1) or enjoy it as part of the Gelato Sampler ($16.80), which allows you to pick four flavours of your choice. The molten chocolate cone is a waffle cone filled with copious amounts of melted chocolate. You can either smash the whole cone into your gelato so as to get a bit of crunch in every bite, or do as we did — drizzle the chocolate all over. The chocolate hardens upon contact with the cold gelato, forming a nice chocolate shell all around. 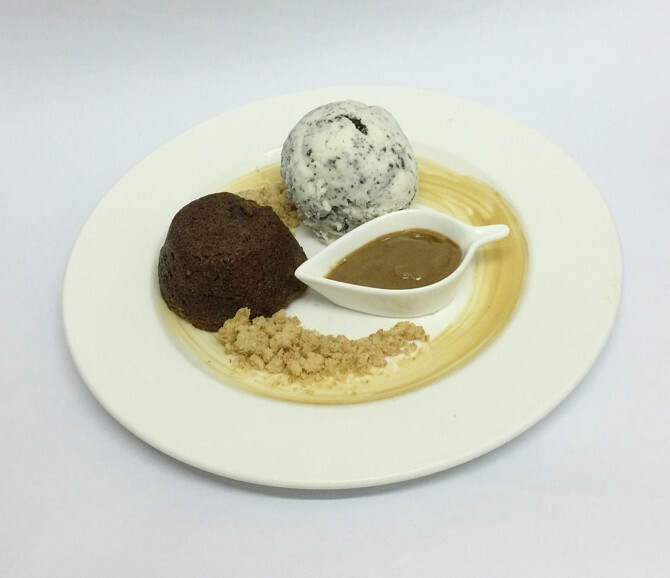 Diners have the option to pair their gelato with crispy waffles, chocolate brownie and even sticky date cakes as well. We picked the four flavours that appealed to us best. The Sweet Breakfast is made from cereal-infused milk and yields a pleasantly milky taste that isn’t overwhelmingly saccharine. Its only downside has to be the bits of soggy cereal crumbs embedded within, which weren’t quite to my liking. The Speculoos Crunch had a caramelised flavour to it and is packed densely with crumbled biscuits. I could probably eat that all day. On the other hand, I’d expected the Rum & Raisin to pack a punch but the rum was barely discernible. The Thai Milk Tea was my favourite. It had a dense and velvety smooth texture, with a rich tea flavour that was spot on. With a single scoop going for $4.80, I’d say Churn Creamery’s menu offerings are pretty on par with other ice cream cafes. 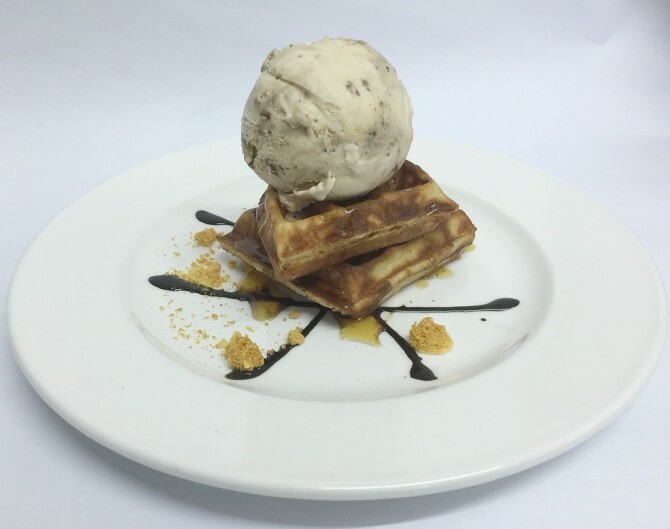 Diners have the option to pair their gelato with crispy waffles, chocolate brownie and even sticky date cakes. The Passion Berries Cake is beautifully handcrafted and well made. If you somehow stumbled here with a craving for cakes, they also offer artisanal gelato cakes. 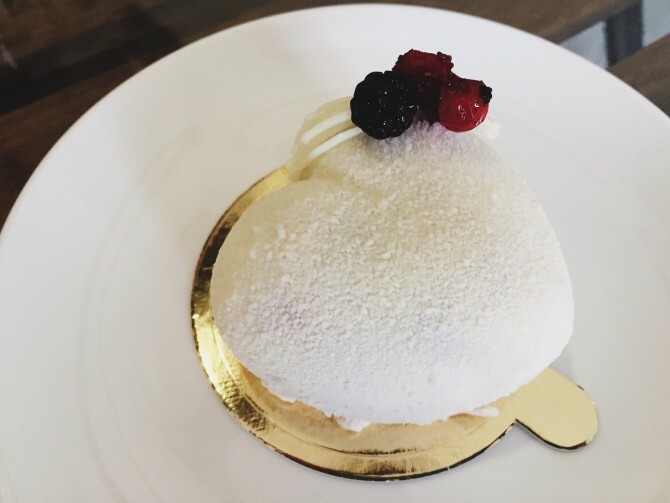 We tried the Passion Berries Cake ($7.90), filled with layers of mixed berries gelato and tangy passionfruit curd on a bed of vanilla sponge. While the price is steep for a rather small cake, it is nonetheless beautifully handcrafted and well made.